Octavio Solis (Mojada, Dreamlandia) joins the CalArts Center for New Performance for the first exploratory workshop of his newest play, Scene with Cranes. A tight-knit Mexican family is left shattered in the wake of their youngest son’s mysterious death. Devastated, the mother retraces her son’s final steps in search of the truth. In his signature blend of classic and contemporary, Solis parallels John Sibelius’ musical masterwork in a play of the same name. Exquisitely visceral, Scene With Cranes navigates the many avenues of loss, leaving us stranded in a meditation on grief. 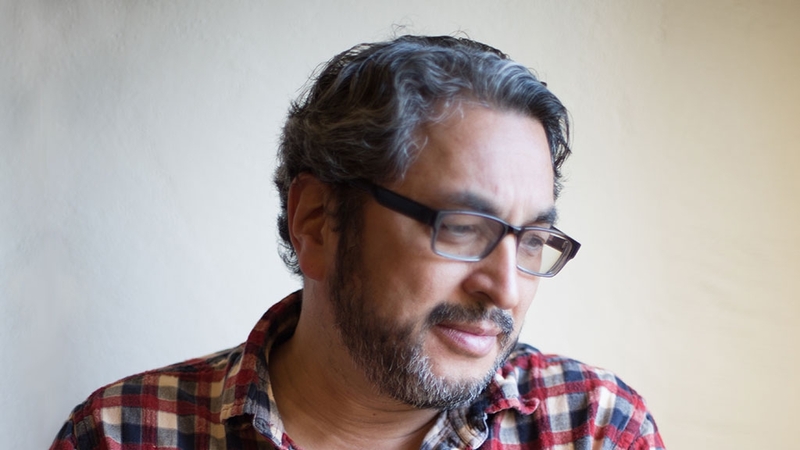 Author of over 20 plays, Octavio Solis is one of the most prominent Latinx playwrights in America. With works that both draw on and transcend the Mexican-American experience, he is a writer and director whose style defies formula, examining the darkness, magic and humor of humanity with brutal honesty and characteristic intensity. His imaginative and ever-evolving work continues to cross cultural and aesthetic boundaries, solidifying him as one of the great playwrights of our time. Octavio Solis is a playwright and director whose works Mother Road, Quixote Nuevo, Hole in the Sky, Alicia’s Miracle, Se Llama Cristina, John Steinbeck’s The Pastures of Heaven, Ghosts of the River, Quixote, Lydia, June in a Box, Lethe, Marfa Lights, Gibraltar, The Ballad of Pancho and Lucy, The 7 Visions of Encarnación, Bethlehem, Dreamlandia, El Otro, Man of the Flesh, Prospect, El Paso Blue, Santos & Santos, and La Posada Mágica have been mounted at the California Shakespeare Theatre, Mark Taper Forum, Yale Repertory Theatre, the Oregon Shakespeare Festival, the Denver Center for the Performing Arts, the Dallas Theater Center, the Magic Theatre, Intersection for the Arts, South Coast Repertory Theatre, the San Diego Repertory Theatre, the San Jose Repertory Theatre, Shadowlight Productions, the Venture Theatre in Philadelphia, Latino Chicago Theatre Company, Boston Court and Kitchen Dog Theatre, the New York Summer Play Festival, Teatro Vista in Chicago, El Teatro Campesino, the Undermain Theatre in Dallas, Thick Description, Campo Santo, the Imua Theatre Company in New York, and Cornerstone Theatre. His collaborative works include Cloudlands, with music by Adam Gwon; Burning Dreams, co-written with Julie Hebert and Gina Leishman; and Shiner, written with Erik Ehn. Solis has received an NEA 1995-97 Playwriting Fellowship, the Roger L. Stevens award from the Kennedy Center, the Will Glickman Playwright Award, a production grant from the Kennedy Center Fund for New American Plays, the 1998 TCG/NEA Theatre Artists in Residence Grant, the 1998 McKnight Fellowship grant from the Playwrights Center in Minneapolis, and the National Latino Playwriting Award for 2003. He is the recipient of the 2000-2001 National Theatre Artists Residency Grant from TCG and the Pew Charitable Trust, the United States Artists Fellowship for 2011 and the 2104 Pen Center USA Award for Drama. Solis is a Thornton Wilder Fellow for the MacDowell Colony, New Dramatists alum and member of the Dramatists Guild. He is working on commissions for the Arena Stage, SF Playhouse and South Coast Repertory Theatre.